Liveaboard Diving – The best way to dive! At Sunrise Divers, we believe that liveaboards are the best way to dive, and the best way to reach the top dive sites in Asia. We have been operating in Phuket, Thailand since 1999. 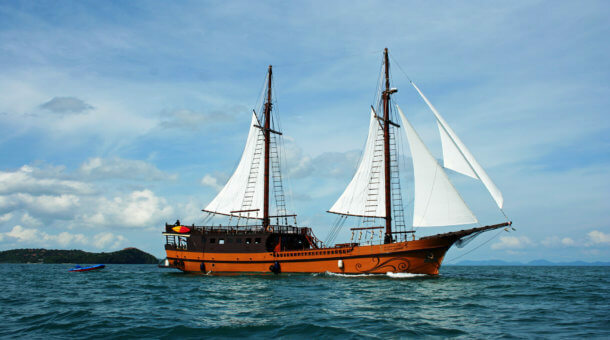 Phuket is the centre of dive operations for Thailand liveaboards to the Similan Islands and Richelieu Rock. 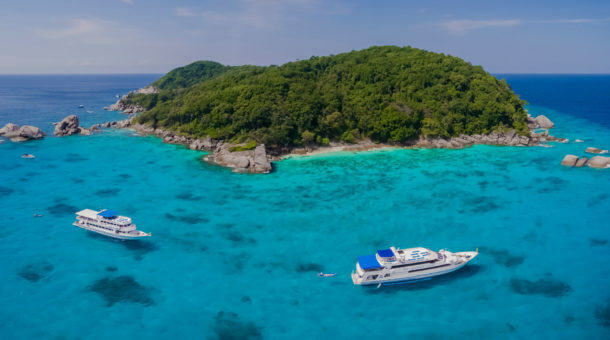 The Similans have become very popular in the last 20 years with boats to suit all budgets. 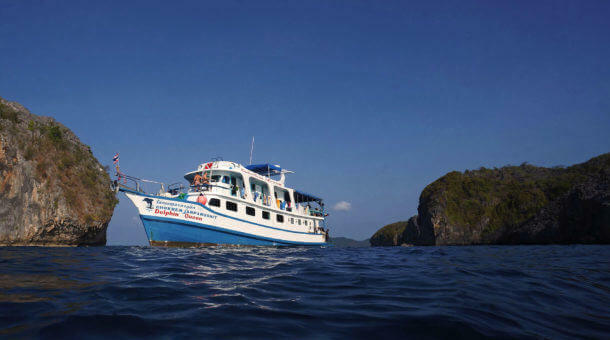 Also operating from Thailand there are a smaller number of liveaboards heading to the Mergui Archipelago in Myanmar. 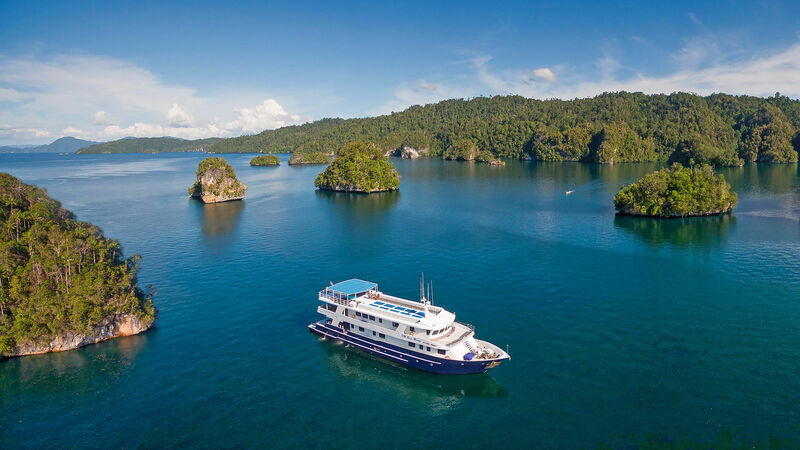 Komodo in Indonesia is experiencing a surge of interest right now with a large number of liveaboards available and many boats are now also diving in Raja Ampat. 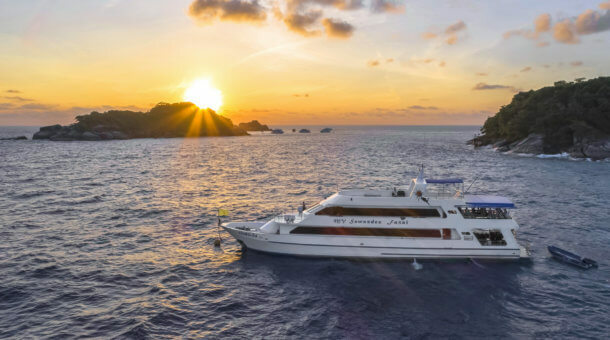 As Asia’s top locally based independent liveaboard booking specialists, and with 20 years of local diving experience behind us, you can trust Sunrise Divers to carefully select the best liveaboards in all price classes. If you want to experience the best diving in Thailand, Burma or Indonesia, you’re in the right place. Please do contact Sunrise Divers! We hope to hear from you very soon. This brief introduction should give you an idea of which liveaboards and which destination might suit your preferences and budget. We know it's a big world with so many diving options, so if you have any questions please do contact us and we can provide you with any extra information you might need. Every year, we look out for new liveaboards - if you know of a great boat that you think should be included on our web site, please let us know! Liveaboards are also available for Full Boat Charters if you plan ahead. 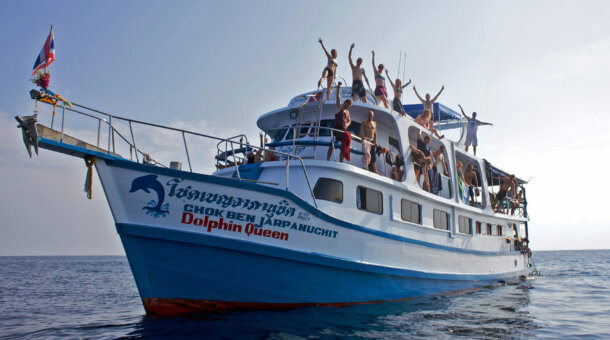 If you have a large group of divers or a dive club why not book the whole boat? 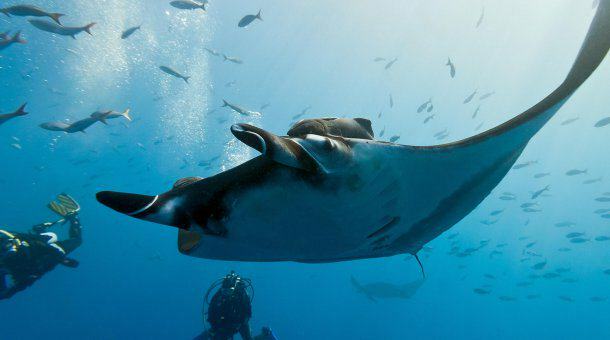 This gives you more freedom to choose dive sites and times, and more flexibility in your itinerary. Whatever your diving needs - liveaboards, PADI courses, day trips... Just ask Sunrise Divers!